Ducks are done in MI. We have been hunting geese at a Managed Goose Unit. If you can get a good draw, the hunting has been so-so. this pic is from 1990 at Mendota ..or Volta..
Eastern AR. Best season in years. Banded duck....Is that cinnamon teal? I'm envious enough of the picture once. Do I have to see it four times?! Went out today for ducks and geese from an open water blind. Not long after sunrise, we caught movement coming our way, right out of the rising sun. Three big geese were coming in low and silent and were fixed on our decoys, which were about 30 yards to our right - upwind. Still and quiet, we watched as the black silhouettes steamed our way. As they entered our "no fly zone", barrels slowly rose and safeties clicked off. At about 1/2 squeeze on my SBEII, my partner yells, "SWANS! ", and they flared up and away at about 20 yards. Although he holds a swan permit, and the calendar is right, we are about 60 miles west of where this would have been a legal kill. It should be noted that my hunting partner and I DO know the difference between geese and swans, most of the time. With them coming directly at us, and the low morning sun at their backs, all we could see was goose-like wings and heads. A slight profile would have immediately revealed that the young swans were not geese, but they didn't provide that for the 200 yards we saw them on approach. OK going out on a limb here. Will start by saying I am not a hunter, no one in my close family hunts and I dont have any friends that hunt. Here we go. Are these ducks edible? If so: How big a freezer do you guys have? Is there problem with eating around shot? How many freakin recipies do you have for duck? If they are not edible: What do you do with a dead duck/a lot of dead ducks? Big enough to hold ducks, deer, turks, hogs, etc. Don't need many, that's what the BBQ is for. Thx for the reply. I'll just say that I dont claim to know anyones reasons for anything that they do. For all I know the ducks threatened your family. I was sincerely hoping that this was not a kill for kills sake sport, such as in the "Exploding Varments" videos. I am not a tree hugger nor am I here to pass judgement on others (except maybe PETA, they get on my nerves). Was truley interested in the motives of the duck hunt. Having said that, what about dove, are they big enough to eat? Have seen articles/ads in shooting mags where people have killed dozens in a day. I have been told that my grandfather used to dove hunt, but never heard of him eating them. WOW! My boss just handed me a cooler with a deer ham in it! What a good start to a day! Not much meat on them, just the breasts essentially, but I know people eat them. Bite sized morsels. Some dove recipes. The daily record for dove by one person is something like 6000+- a few hundred. 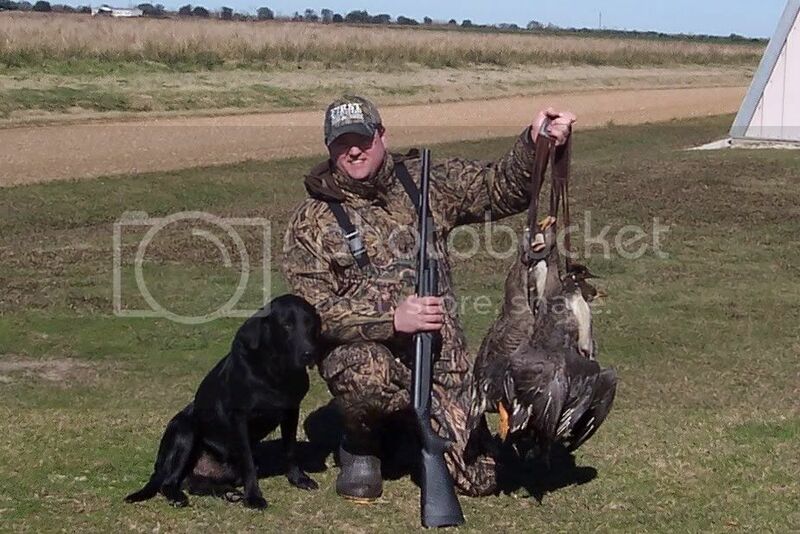 A decent shoot in Argentina is 2000+ shells fired with a bag determined by the shooter's ability. Cooked correctly, they are delicious. Cooked poorly, they taste like old liver. Just got back this afternoon from four Ducky days in Colusa. A friend got me into duck hunting last year and all I can say is "Wow...I'm hooked for life!" First is from this morning's sunrise and the other is from Tuesday. Nice photos! Beautiful early morning sunrise. 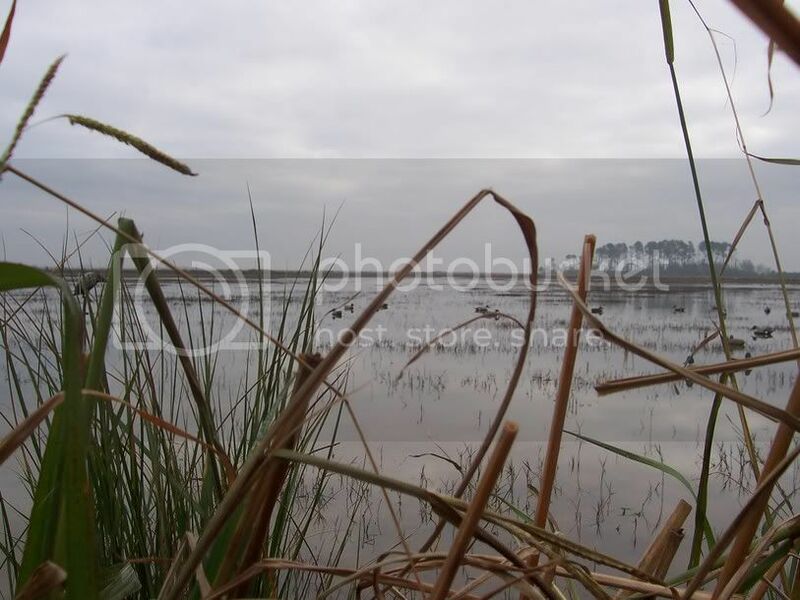 I took the first picture from the blind looking directly at the Colusa Wildlife Refuge 100 yards away. The mountain range in the background is the Buttes. I thought I would share a couple pics from my recent trip to Louisiana.